The “Gut Berg” Hotel, perched high above the town of St. Johann in the heart of “Salzburger Land” county, is a unique and multi-faceted place to spend holidays in any season. The incomparable views, the tranquil setting far from traffic noises and the immediate vicinity of the ski slopes of the “Ski Amadé” ski area are only a few of the advantages. Put on your skis at the hotel and enter the prepared slope to the bottom station of the gondola of Alpendorf. Or take the advantage of the hotel own shuttle from and to the station. 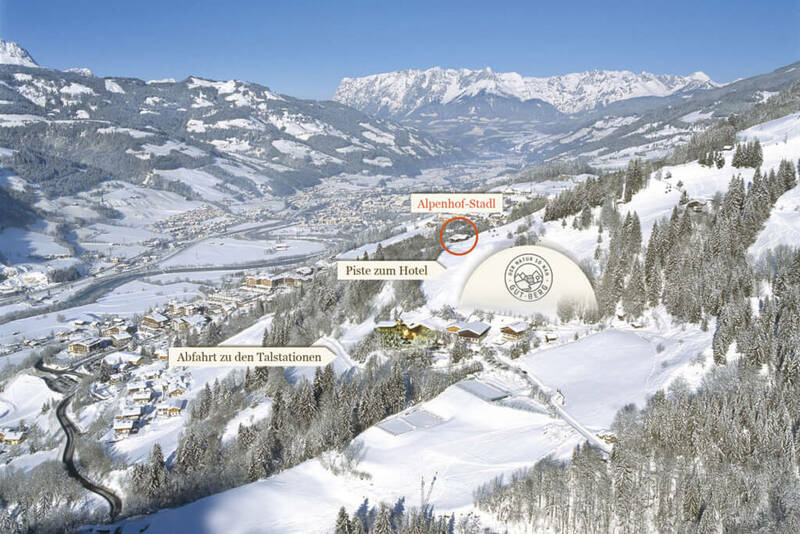 A holiday where you can leave your car at the hotel while discovering the ski region from St. Johann-Alpendorf to Flachau. The partial illuminated Toboggan run is reachable within 5 minutes. After an exhausting day you may enjoy a hot drink and regional delicacies in the Alpenhofstadl. The perfect ski day is a normal day in our Alpenhof. 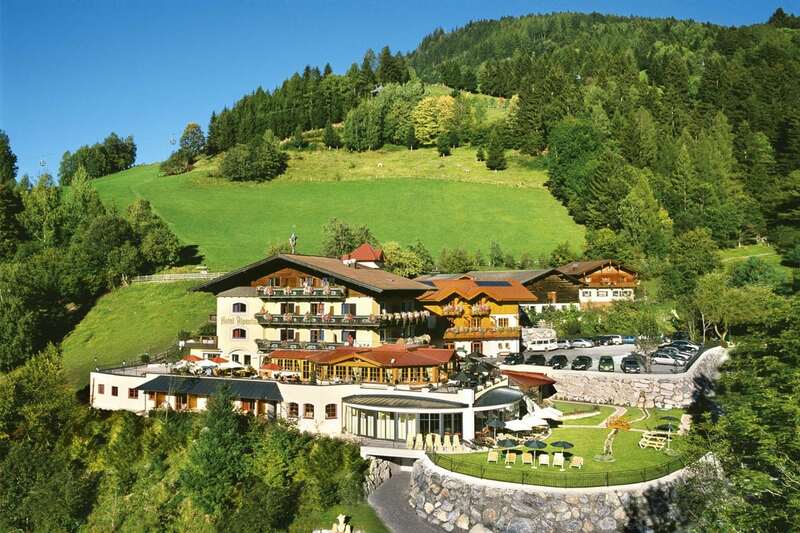 Enjoy the impressive view via St. Johann in Pongau from the terrace of the hotel. Schedule a hike and start at the hotel your route. Or decide to make an excursion to Salzburg city? Spend a convivial evening in the Alpenhofstadl set amidst nature, drink a Schnaps with our hosts and clink glasses to an unforgettable and unique holiday. Take your mountain bike with you and start trails direct from the hotel or exploit yourself at the hotel own tennis court during the kids discover the yard with the playground and visit the animals at the farm.